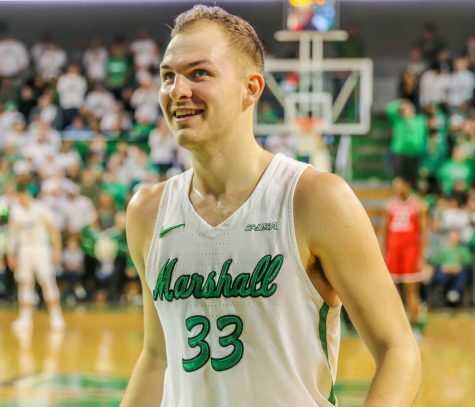 At the end of each season, there are four NCAA Division I men’s basketball teams that take home a piece of hardware. 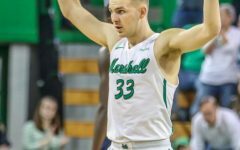 Marshall ensured it was one of those teams with a 50-point second half Thursday night, using an extended run in the second half to defeat the Green Bay Phoenix, 90-70, to win the CollegeInsider.com Postseason Tournament in front of a frenzied crowd at the Cam Henderson Center. 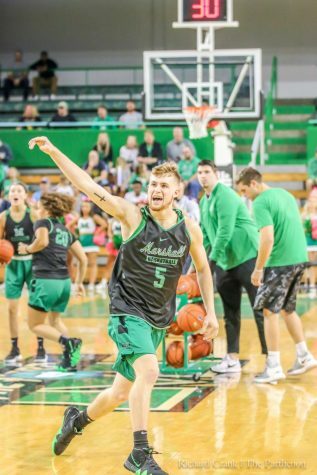 The title marked Marshall’s first postseason tournament title since the 1947 NAIB (now NAIA) national championship and isn’t something that Thundering Herd head coach Dan D’Antoni and his players took lightly. C.J. Burks led all scorers with 28 points, along with seven rebounds and six assists, earning tournament MVP honors in the process. 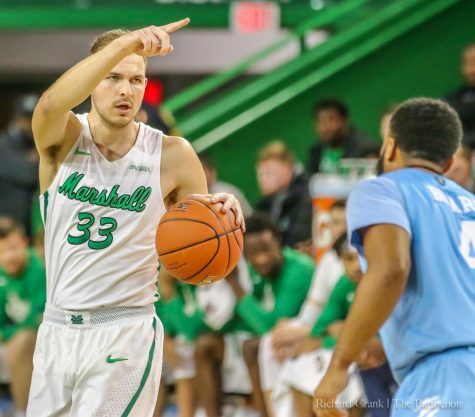 Taevion Kinsey added 21 points and 11 rebounds, while Jon Elmore closed his Marshall career with 17 points, six rebounds and three assists. Kinsey and Elmore were both named to the all-tournament team. 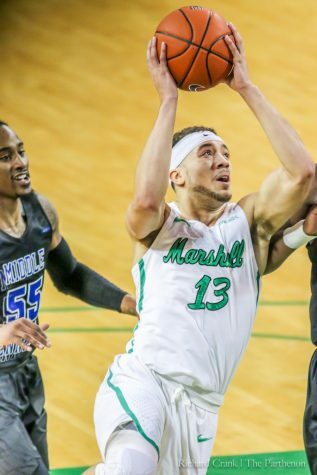 Marshall had a season-low three 3-pointers but scored 58 points in the paint, with 24 second-chance points. 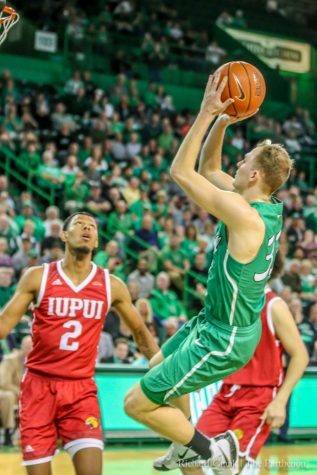 Seven of Kinsey’s team-high 11 rebounds were on the offensive glass and his defense helped limit Green Bay’s Sandy Cohen III to 13 points, including zero points in the final 26 minutes of the game. Green Bay led by as many as 13 points in the first half before a late Herd surge cut the deficit to a pair at the break, 42-40. 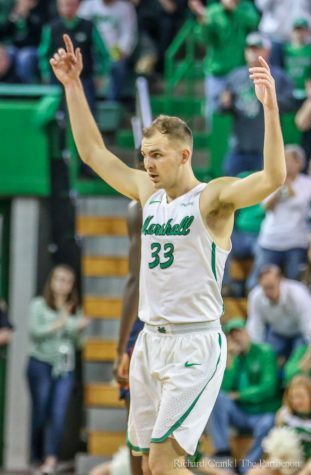 The Phoenix led by as many as seven in the second half and had a 59-58 midway through the final stanza before Marshall closed the game on a 32-11 run. 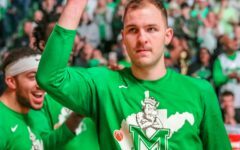 Elmore said it was meaningful to go out a champion, even though it wasn’t the NCAA Tournament or NIT. 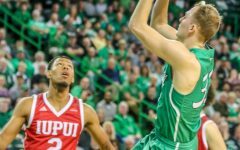 It may not be the NCAA Tournament. 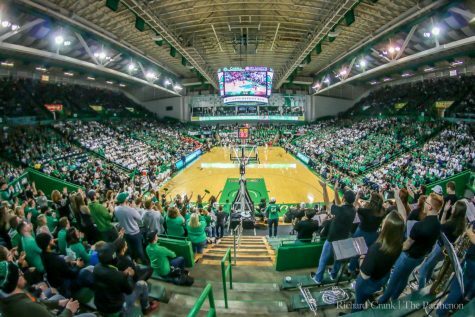 It may not be the NIT. 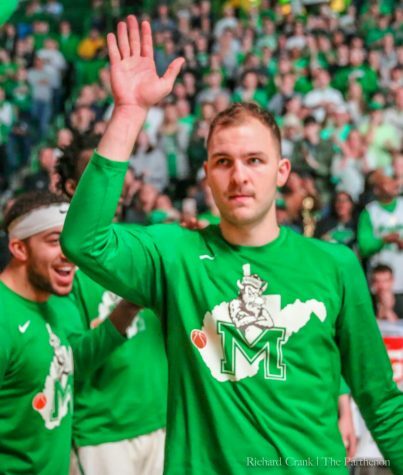 But Marshall’s senior class walked off the court at the Cam Henderson Center one last time a champion.